JULIE A SETON is the youngest granddaughter of internationally renowned writer, conservationist, storyteller and youth program developer, Ernest Thompson Seton (ETS) (1860-1946). She has embraced this legacy and now tours the country giving lectures about ETS’s influence on youth organizations, wildlife conservation, education, and his work to preserve Native American cultures. She has spoken at events across the US, in the United Kingdom and the Czech Republic. 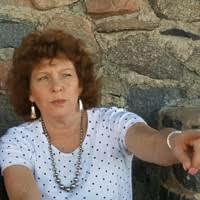 She republished Trail of an Artist-Naturalist: The Autobiography of Ernest Thompson Seton in 2015 and is writing a book to fill in some of his activities not discussed in the autobiography. Julie received her Ph.D. in Rhetoric and Professional Communication from New Mexico State University with focus on scientific and environmental rhetoric. She used her grandfather’s story Lobo, King of the Currumpaw to exemplify how to analyze nature writing as a prompt for social action. She also holds degrees in Communication Studies, Educational Psychology and Theatre. She owns and operates Indelible Enterprises, LLC, a company that provides communication-based analysis and training, emergency management planning and response exercise support. Dr. Seton’s areas of expertise include interpersonal communication and training, operational analysis, business development, and facilitation. Her career started as an instructor, teaching courses in Theatre, English and Communication. She moved to government contracting where she supports military and homeland security efforts. Her work includes managing test programs, organizing, facilitating and evaluating emergency management exercises, and coordinating and writing training courses. • Honorary President of the Whitby British Boy Scouts. She lives in Las Cruces, New Mexico with her husband Dr. Robert Sanderson, a retired Associate Professor from New Mexico State University. They enjoy gardening and visiting their very young grandchildren.